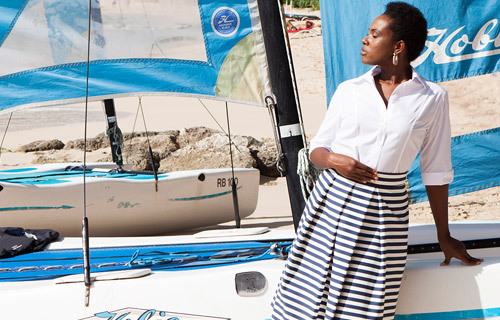 We know that every luxury hotel strives to be unique, and that’s why Jalin Resort’s co-ordinated collections of ready-to-wear garments come with the option of customization. From branded logo embroidery to specific colors and original prints, we offer three tiers of customization that allow you to make our ready-to-wear uniforms tailored to the environment and branding of your hotel. > Made to measure garments for staff outside normal size range. > Size adjustments for tops and bottoms. > On-site measuring to ensure order sizes are correct. > On-site installation and tailoring to ensure the uniforms are launched hassle free. Using our ready-to-wear collections as a building block, this service allows for variation of color and trim in fabric to lend your uniforms a unique look. 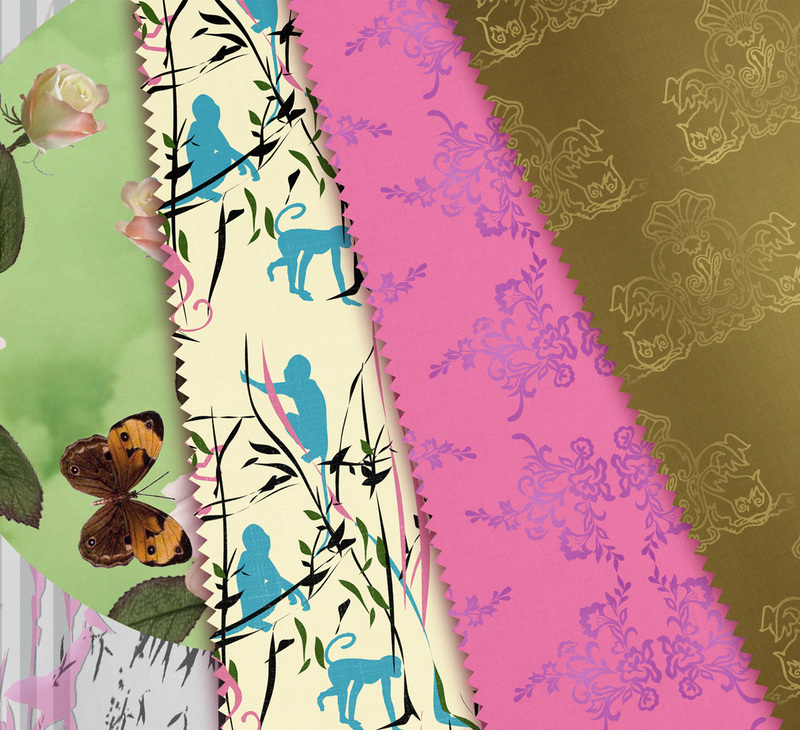 We can design bespoke prints and jacquards or simply add a color as per your brand’s pantones. This is the ultimate tailor-made service, offering a completely unique brand concept for your hotel’s uniforms. Spanning from illustration and sample presentations, to original textile and print deign, as well as unique buttons and trim, every uniform is measured, installed and fitted to each individual personally. 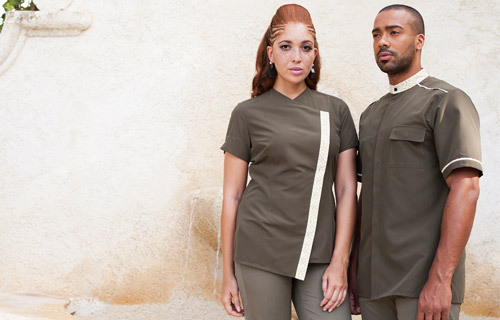 We were asked to design and manufacture an entire resort focused uniform concept for all 300 staff in early 2013. 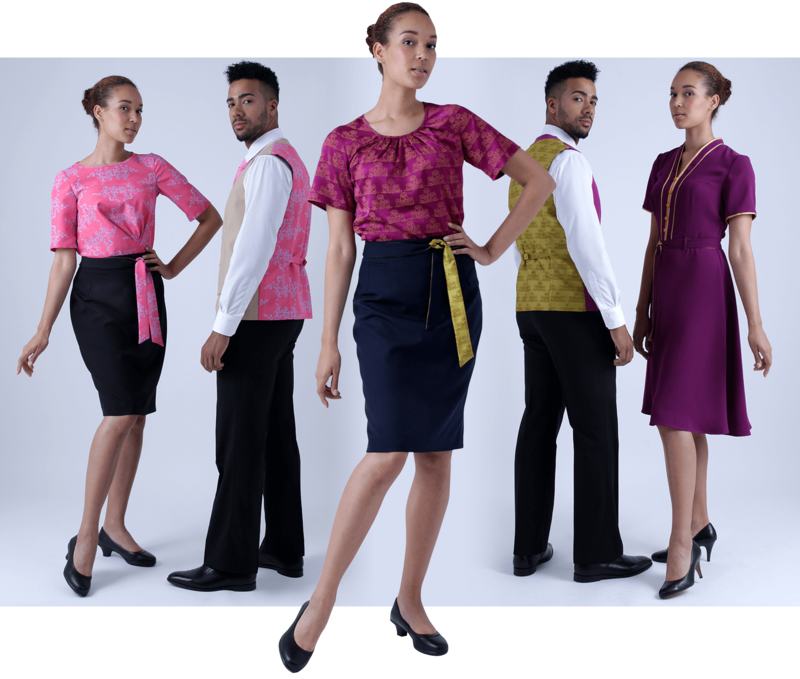 Designing garments that would work commercially for varied body types we specifically created a different fit to accommodate the client’s requirement. Part of the brief was to be able to produce garments that could stand up to the intensive wear and climate conditions. We successfully installed the uniform programme in December 2013 and have been continuing to supply this client since. The brief specified various roles of wearers that had to stand apart. Very specific colours were required so fabrics were dyed to order. Lab dips and strike offs were presented for approval. Customised prints were a large part of the collection. Inspiration was taken from The Green Monkey, designed by Tom Fazio for the barman print shirt. The hostess dress was designed to be a repeat pattern to fit beautifully in the fine dining restaurant, L’Acajou. Mandarin collars on shirts were used for a modern touch. Tropical Polywool was used to cool the wearer. Each and every element was brought together to give a complete look for the resort.